Tim and I headed to Caleb’s mom’s (Lyn Bartolo) art exhibit in North Melbourne entitled INHABIT. She got back into her art later in life and Caleb really helped her put this whole exhibit together. She does beautiful pen and ink hand drawn pieces of all sorts of animals. Aaaaaaand, she drew one of my photographs! Remember the elephant shot from Africa? Well…viola! Was very inspiring to attend this evening. In many, many ways. 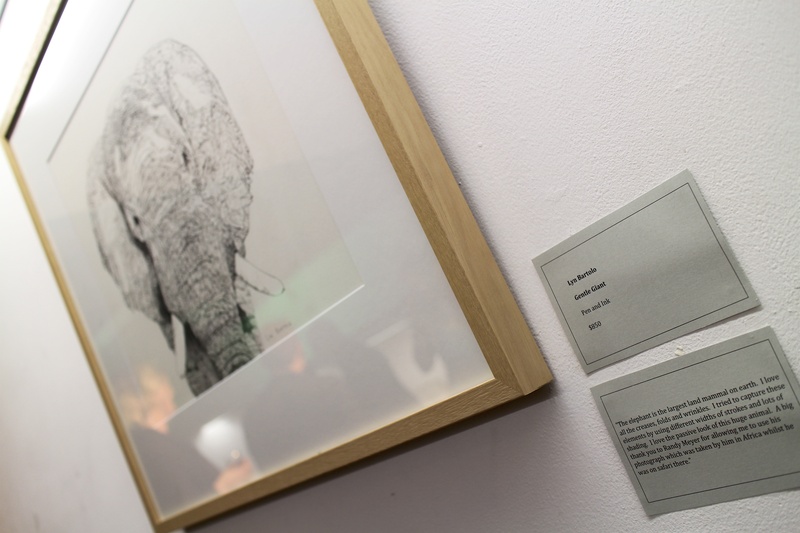 This entry was posted in North Melbourne and tagged Art exhibition, Elephant, INHABIT, Inspired, Lyn Bartolo. Bookmark the permalink.